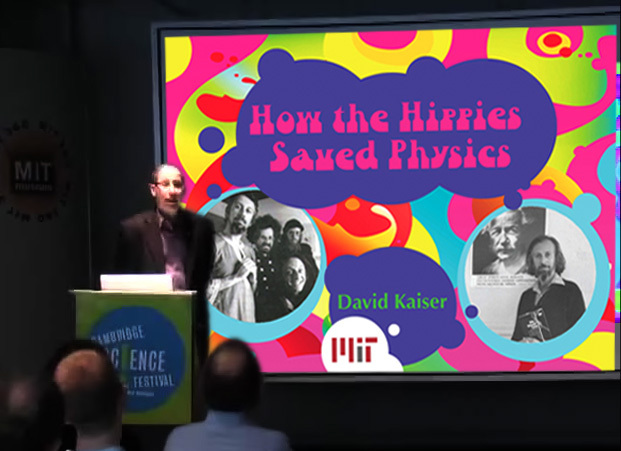 In June 2011, W. W. Norton is scheduled to publish a book by MIT historian of science David Kaiser entitled How the Hippies Saved Physics that describes some of the colorful events and characters who researched the foundations of quantum physics in the 60s, 70s and 80s. These out-of-the-mainstream scientists focused their attention mostly on Bell's Theorem (published the same year that the Grateful Dead emerged on the scene) and quantum entanglement--topics which today form the basis for the emerging fields of quantum computing and cryptography. Frankly speaking, How the Hippies Saved Physics is a book about me and my friends who were not interested in quantum experiments, who were not interested in quantum theory, but instead passionately involved ourselves in the quest to connect with QUANTUM REALITY itself. And we hoped that Bell's Theorem--which is a THEOREM ABOUT REALITY ITSELF--would help us reach our goal to conjugate with Mother Nature at a far deeper level than mere theory or mere experiment can provide. In short, my companions and I fell in love with Bell's Theorem and wholeheartedly took Her Lure. And with loving detail Professor Kaiser tells our tale. Kaiser's account of our psychedelic drug use, however, is greatly exaggerated. For the most part we "hippies who saved physics" (including the shy, reclusive Jack Sarfatti) used drugs only when necessary to accomplish the task at hand (as well as in primitive courtship rituals). Kaiser's video may be viewed here.